The Ngee Ann Kongsi Collections Gallery was officially opened in April 2004. Art pieces exhibited in this gallery are mainly acquired during the annual exhibitions organized by Ngee Ann Cultural Centre. Some artworks are gifts presented to The Ngee Ann Kongsi. The Ngee Ann Kongsi aims to support artists and their causes by sponsoring exhibitions and acquisition of their artworks. Our growing collection comprises a variety of art mediums and themes. Exhibits in this gallery are updated periodically. The Ngee Ann Kongsi Collections Gallery is located at 97 Tank Road, Level 2 of Teochew Building. 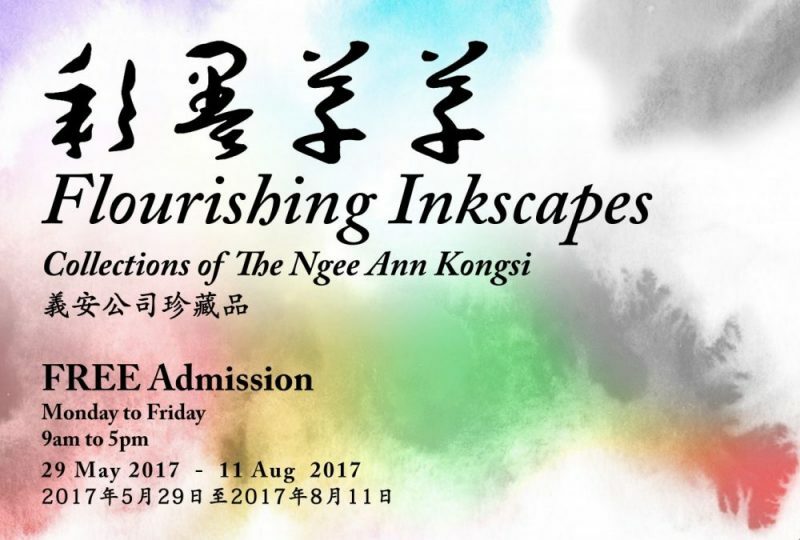 The Ngee Ann Kongsi Collections Gallery is proud to present “Flourishing Inkscapes” from its Chinese ink series. A fine selection of 30 pieces of works by 17 local artists will be on display from 29 May to 11 August 2017. The exhibition is held in conjunction with the annual debut of National Day Calligraphy and Painting Exhibition organised by Ngee Ann Cultural Centre.